We’re starting the New Year with a very interesting and informative read for all performers. Take note and if you’re not already doing so, try to put in to practice for 2018! 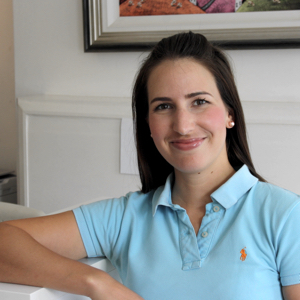 I’m Jenny Nash, one of 6 physios here. I trained in Australia….I had a sport background but also did a lot of music. 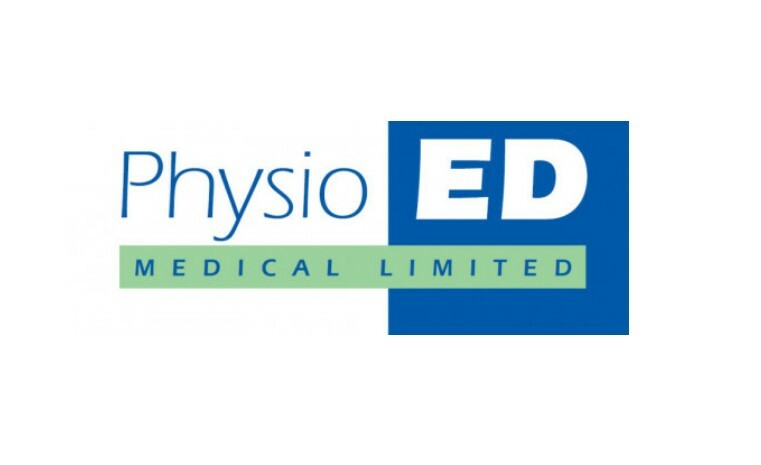 I always had an interest in acute injuries, hence why I chose to do Physio. I travelled, met someone in New York who knew Ed and I was very interested in what Ed does. In Australia we don’t have as much musical theatre and dancing, there is not so much the market, but in London the West End is huge. I was interested in managing injury and keeping people in work and then performance based stuff. I’ve been with Ed for 6 years now. This practice has a lot of connections with a lot of production companies? Yes, a lot of companies. Yes, not exclusively, we see a lot of people who work in the local area, lots of referrals from consultants that we work with as well but predominately the Performing Arts Colleges. Things crop up earlier, especially with the amount of repetition they do in college, when they are still developing and learning. Lots of students. A lot of lower limb, you do see all sorts, dancers especially a lot of weight bearing joints – ankles, knees, hips. Also, a lot of soft tissue injuries, strains and ligament injuries – going over on your ankle, coming out of a jump or landing awkwardly, lifts not going according to plan, repetition – having to dance in heels, footwear. We see a lot of feet e.g. the big toe having to take a lot of pressure at the front of the foot because of the heel. Hamstrings and hip flexors getting really tight. A lot of lower back as well – a lot from position – if performers are on a raked stage and having to wear heels and having to have wigs and heavy costumes and mic packs, all sorts of things. Shoulders equally and necks equally. The whole lot (laughs)! We do everything, even sometimes hands, when people are doing quick changes they can get their finger caught or going in for a lift that doesn’t go right. What are the first steps performers should take if they feel like something is twinging? Assess, self-check… twinges are common, you get all sorts of aches and pains and dancers should be aware of aches and pains. But analyse whether it’s a harmful pain rather than a stretching pain or overworked pain. How do you think you could clarify that for a graduate? Mapping out what you’ve done, did you have a really hectic day doing tap, jazz and everything and you had a pain in your knees, or were you doing a repetitive squat for something…. that might be a normal sensation – however, if that continues, it’s good to mark out when the pain starts and what might have triggered it. You need to map out what you were doing, sometimes it’s not as clear… aches and pains can crop up out of nowhere but it’s important to look at the whole picture – like a detective, what were you doing, when did it start hurting, is it something you just woke up with, do you feel it after a class, during a class, what type of movement were you doing, had you noticed any stiffness before and is the quality of pain a sharp pain, sore to walk on it – those are indicators that it needs a breather and some rest. The intensity of the pain, if it’s a low level pain that you can keep an eye on, just keep checking up on it and seeing why it still might be going on. If it’s increasing and it’s a sharp pain and hurts to walk you should see someone. Any preference to hot or cold treatments? That depends on the nature of the injury, sometimes things can be acute, you sprain your ankle, it’s swollen – ice it. When it’s less clear cut is when things just start out of nowhere, sometimes your hips starts to ache. You’ve been doing loads of kicks and your hips are getting a little sore, it’s not necessarily an acute injury but the muscle is probably getting really fatigued or there is some restriction in and around the hip and therefore it’s becoming a bit irritated. With those ones its less clear, but, ice and heat can work as a contrast. What you want is to stimulate more blood flow to the area because you want to get that healing response from the body. Lower backs tend to prefer heat, you know when you get spasms. Spasms we definitely advise heat, so when a muscle goes into a really restricted and contracted state, genuinely it prefers heat. When you put cold on it, the natural tendency is to clench and then you are reducing the blood flow to the area. So you want warmth, more blood flow and ease of movement, trying to get more movement back. But definitely in an acute injury, if you roll something, especially in a joint, if its swollen – ice. Necks are normally more heat as that’s more muscle soreness. Do you feel diet plays a part? Hugely, I think it’s a really good question and it’s really relevant because we know that protein is used in the healing process. So, when someone comes in and they are in pain or have had time off work, eating well plays a massive part in recovering. You need your proteins. Magnesium is also good for muscle tissue, health and recovery, you get that from your leafy veg and spinach. But like everything in life it’s about balance. It depends on the amount of exercise you are doing and the type of exercise you are doing. Things start to go off when you get to the extremes or too much of one thing. Definitely have a variety and a balanced diet. I do make sure people are getting enough magnesium, minerals, zinc and vitamin B. That all helps with recovery. There is a lot of research going on about endurance and digestion. You have to be able to digest it properly. A lot of people have digestive disorders like IBS, and all of that plays a role as well. Do you think cross training is beneficial to dancers? Do you think they should be doing other forms of exercise? Always, it does depend on the dancer and what they need… A lot of dancers are flexible, but they need a lot of stability and isolation work. Sometimes we do find if you have an excessive amount of movement, your muscles get tired. You do need strength in the right areas… Pilates can be very beneficial. For the people that are less flexible and wanting to maintain the joint range of movement, I encourage yoga where you can get good dynamic stretching along with conditioning. Again, depending on the demand they have. If they are in certain positions in a show or in a show that uses puppetry, you will want to do things that counteract that movement or sequence, so again unpicking your movement pattern and then doing something different – swimming, biking, general gym. Gym training has to be balanced like anything, making sure you cover all the areas and it’s not excessive and its very much in line with what you are doing. You also need recovery days, it’s hard to get in your rest time, especially if you are doing 8 shows a week. That’s the thing with the performing industry, food can become difficult, do you eat before a show or after – what do you do? Meal prep is always helpful otherwise you just grab things on the go and then you are not getting enough of the replenishing stuff in you which will reflect on your recovery. Any common or basic mistakes? When they continue and when they are like, “I thought it would just go away” and that’s what I mean about monitoring it and paying attention to when it started and when it kicked off. Then you have a bench mark of “it’s been going for three weeks now and I’m still in pain”. You don’t necessarily have to act on it straight away, but you need to acknowledge it, identify it and understand it. It’s always the case of “I’ve been working on this for 3 months now and it’s not going away” – funny that. It’s not a common mistake it’s just that we are human. Dancers also have high pain threshold as well and you keep pretending that it’s just going to go away, but it doesn’t go away. Any particular advice for career longevity? A variety I think, like cross training, having different demands on your body so that it’s not the same repetition, that will definitely help. Injury management, if you are having injuries, see someone before it gets prolonged, catch them early before they become big issues. As soon as you are into something that’s been going on for a while, your body starts to adapt, motor patterns and movement patterns which are not efficient and then you end up getting stiffer in some joints where you didn’t need to be, and it will slow down your healing process. I’ve got some yes’s?! Cool down – no one cools down. They warm up, everyone understands the concept of warming up and we are constantly asking people to stretch and cool down and stretch before you go to bed. You stretch before, then you go and do you class or show, you take off your costume and makeup, go out for a drink with a friend, or you get on a train, go to bed. Then you have an accumulation of tension that builds up. Cooling down is very important. That’s a big Yes! It’s just general maintenance. No No’s…I tend not to think of terms of “no” but instead what could be more beneficial. Do get help if you are experiencing something, don’t keep pushing on something that doesn’t feel right. Your body knows when something doesn’t feel right and your brain knows when something doesn’t feel right, don’t ignore it. No to ignoring the aches and pains that are bothering you. 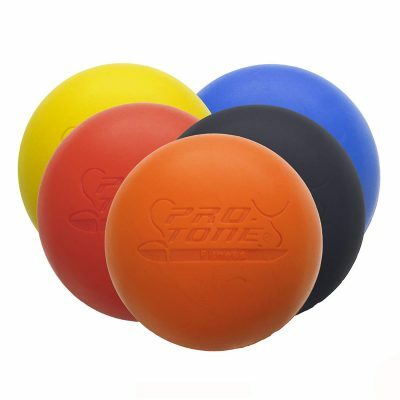 A Lacrosse ball, a nice firm ball when you are short of time or can’t get in for a sports massage, if you need to just release something. Put it up against a wall, roll out your back, shoulders, hip flexors, calves, everything, it’s really useful. It’s only about £5 and so handy to have with you. A nice way to get to places if you can’t get to an elbow to release something, you can at least release it yourself a little bit. It will reduce some tension, which is important.